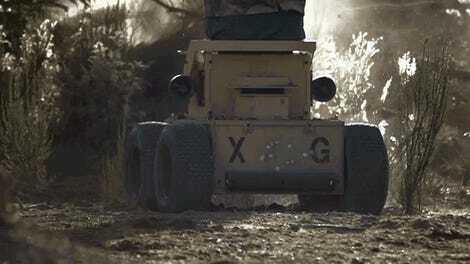 Personally, a pizza delivery robot sounds like a wonderful idea. I love the thought of little bots cruising past me on the sidewalk, giving off a faint smell of a fresh pizza pie. This dream world is coming to life, thanks to Domino’s. On Wednesday, the pizza chain announced it has inked a partnership with Starship Technologies, known for it six-wheeled self-driving delivery robots. 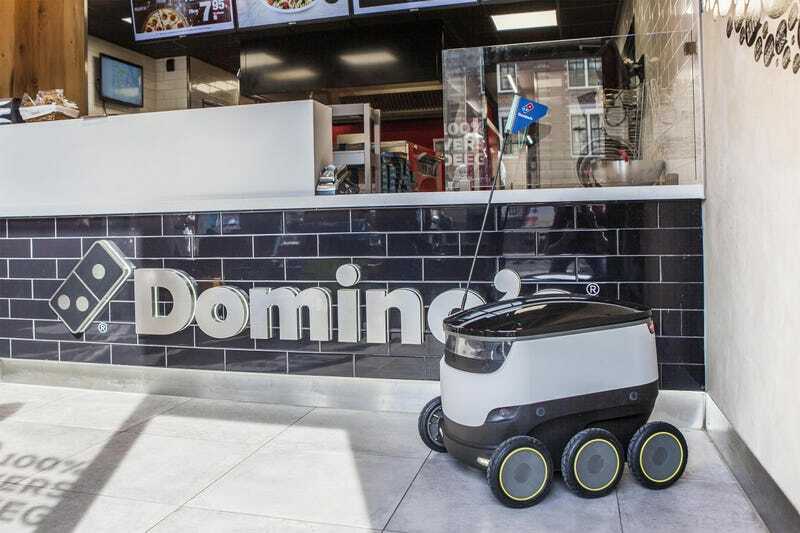 Domino’s has toyed with some high-tech pilot programs before, but this new deal adds another interesting layer to the pizza chain’s tech project called Domino’s Robot Unit, which aims to use robot and drone technologies to deliver pizzas to you. Starship, the brainchild of two Skype co-founders, said its robots will first deliver pizzas within a 1 mile radius around Domino’s locations in “selected German and Dutch cities.” Expanding the program is possible, depending on its initial success. The emissions-free vehicles can tow up to 40 pounds, comes equipped with nine cameras, and can travel at a steady four mph. And Domino’s says these sort of initiatives—especially in learning what’s effective and what’s not—are integral to the company’s future expansion goals. “With our growth plans over the next five to 10 years, we simply won’t have enough delivery drivers if we do not look to add to our fleet through initiatives such as this,” said Don Meij, Domino’s Group CEO and Managing Director, in a statement. Wired reports that a fleet of five Starship robots will be deployed in the city of Hamburg at first, before any expansion takes place. Customers in the vicinity will receive a notification that their pie is being delivered by one of the robots, Wired says, and they’ll be able to watch its movement on your phone. 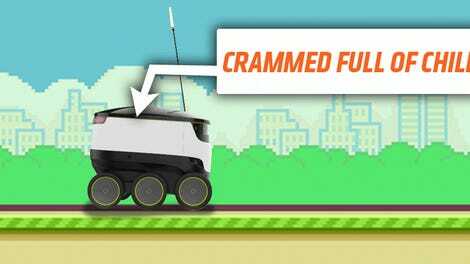 A link will be sent to unlock the cargo compartment upon the pizza bot’s arrival. Now, the only thing to watch is if they’ll be destroyed before a delivery’s complete.